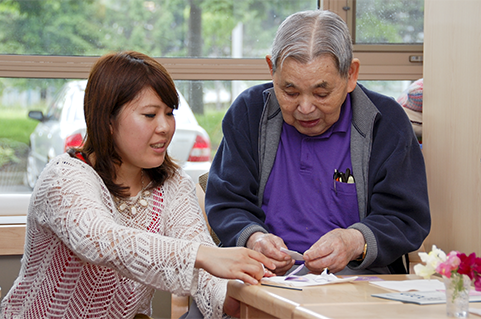 Ever since Momiji was founded by volunteers in 1978, volunteers have been central to our success. Each year hundreds of volunteers generously give thousands of hours of their time. You too can make a real difference in seniors’ lives and give back to the community. Plus, you will learn about Japanese Canadian history and culture and connect with people of diverse ages from all walks of life. Volunteer Canada reports that “Volunteering can play a vital role in healthy aging. Remaining active and staying connected to the community can have a tremendous positive impact on a person’s social, physical and emotional well-being. Studies have found that older adults who volunteer have reduced stress-related illnesses and higher self-esteem and are less likely to feel isolated. Volunteering can also have a positive impact on lifestyle transitions in older adults as they retire, downsize their housing or deal with health issues.